Super Mario Bros., as a series, has not exactly been known for having a plethora of character choices. 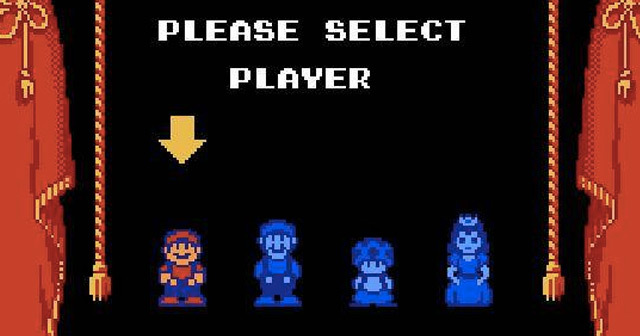 Yet when Super Mario Bros. 2 came around, it proved that you could make character choice a genuine part of level planning. Who doesn’t remember using Toad for the desert levels, because Toad could pick up things and dig faster? Super Mario Bros. 3, by contrast, had Mario and Luigi, who were little more than palette swaps of each other. I’ve mentioned this before, but I’m gender-fluid. I have an oddly intense, personal connection with the general concepts of princesses and all the pretty pink femme stuff. I won’t spend time justifying it, but I will say that this serves to make me rather sad when I see Princess Toadstool consistently treated like a McGuffin instead of an actual character. Some say the “real” Super Mario Bros. 2 didn’t come out in the U.S. (until it ended up on the Super Mario All-Stars cartridge for SNES, retitled as Super Mario Bros.: The Lost Levels) because Japan thought it would be too difficult. This isn’t actually true; it was Nintendo of America that felt that way, and it was more that they didn’t want an incredibly frustrating game to be associated with the Mario franchise so soon after the Video Game Crash of 1983. Either way, had we been forced to pay for Super Mario Bros. 2 as its own standalone game, we’d have almost certainly felt cheated; it was little more than a level pack with the difficulty turned up (often in the form of cheap tricks like falling platforms and poison mushrooms). 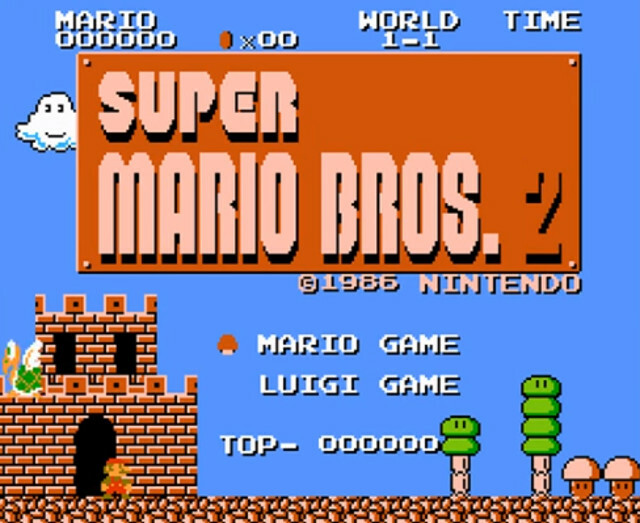 While Super Mario Bros. 3 was definitely much more than a level pack, it stuck closer to the formula established by the first Super Mario Bros. It was still a very horizontal game, having players run across the screen, hopping from platform to platform and jumping on enemies. (Admittedly, it did innovate the series by offering a world map and costume power-ups). By contrast, Super Mario Bros. 2 brought vertical scrolling, the concept of sub-space (which is incredibly underutilized in future Mario games, in my opinion), finding permanent health increases, and a new way to use enemies as platforms. It even introduced picking up and carrying an enemy to throw later, a concept which would be dialed back in Super Mario Bros. 3 (in which players were now able to carry and throw turtle shells). This is a personal gripe, but in Super Mario Bros. 3, warp whistles felt less like they were rewarding my exploration and more like they were just there to help me finish the game more quickly. In Super Mario Bros. 2, warp zones worked a little differently. The fact that you had to use a potion, enter the red door, and use the right jar meant you had to approach them more strategically. Carrying around the potion made finding the warp zone more than a matter of luck (or simple memorization), but also a matter of skill. It really felt like I had earned that warp zone when I managed to carry the potion halfway across a level, especially when it meant giving up health or coins to do so. There’s something to be said for refining a formula, and Super Mario Bros. 3 was Nintendo doing exactly that. They took the foundation of the game they had made with the original Super Mario Bros. (and even the Japanese version of Super Mario Bros. 2) and built upon it to create the gold standard by which almost all future Mario games (and, to some extent, the entire 2D platforming genre) would be judged. Yet there’s something to be said for raw innovation, for throwing wacky ideas against the wall and seeing what sticks. 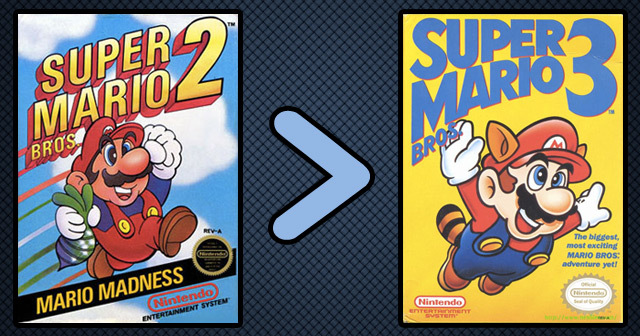 There are plenty of people who will claim that Super Mario Bros. 2 wasn’t actually a Mario game, so it doesn’t matter how close to the classic Mario formula it stayed. That’s technically not true. Doki Doki Panic started out as a tech demo showcasing what a Mario game would look like with vertical scrolling. While that may not be enough to change some people’s minds (and it’s true that the finished product was not a Mario game in Japan), it’s hard to say that it was never intended to be a Mario game. Super Mario Bros. 3 may be a refinement of the Mario formula, but Super Mario Bros. 2 was a showcase of what might have been. It was a tribute to the days when Nintendo was willing to reinvent their properties instead of just fine tuning them; something they arguably wouldn’t do again with the Mario franchise until Super Mario 64. It was weird, it was wacky, and it was wonderful. 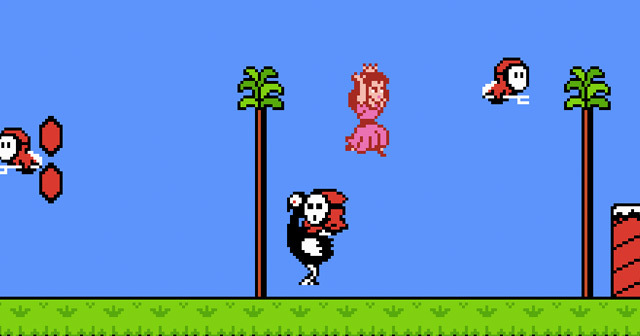 Also, you could play as the princess. I can not stress that part enough.